I have recently been enjoying Kid Icarus: Uprising for the first time. I did not pick up my 3DS until 2013, and by that time, the first printings of the game were long gone…you know, the ones with the stands? The collector that I am, I had to have that version of the game, so I bade my time until I could find a copy on eBay for a decent price (first print versions with the stand and slipcover quite often go for more than retail) and in nice condition. At last, I found one. The game is a tremendous amount of fun and challenging, too. Additionally, I have found the music to be not only the best on the 3DS, but one of the best soundtracks across video games. That might be a very bold statement to make, but every level has pure gold, whether it makes reference to the soundtrack of the original Kid Icarus on NES or is an entirely new theme altogether. One theme in particular has stood out to me while playing through the game, though, and that is Dark Pit’s leitmotif. This particular arrangement of the theme is the version heard during the opening flight segment of Chapter 6, and I just absolutely love it. The way it begins with the acoustic guitar ensemble, highlights the excellent playing of the classical guitarist, and then ramps up quickly with the jazz organ, percussion, and bassist before it takes off entirely is an excellent way to set the stage of the scenario. In the level, Pit is chasing after Dark Pit, his newly created doppelgänger, in the skies, but quickly the battle descends into a desolate, mountainous landscape below, swarmed with additional Underworld forces, where the music picks up. The full blend of organ, classical guitar, and percussion keep the tension of the action up right until the very end. This arrangement is enjoyable, too, for focusing predominantly on the melody of the theme. The flourish of the classical guitarist is brought to the forefront as only an accompanying ensemble of guitarists backs him up. The emptiness and quietness fits the ruined temple, where Pit fights his way toward a boss battle with Dark Pit himself. 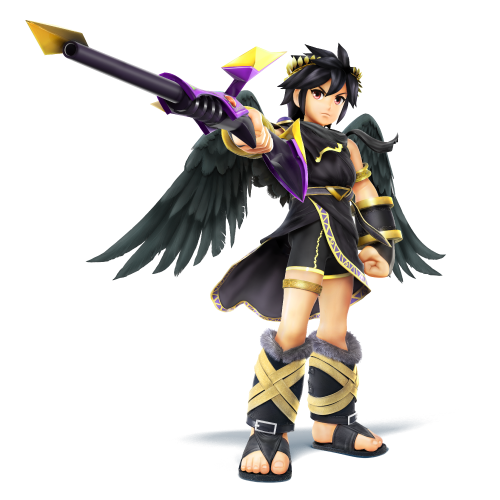 But as Dark Pit is the main attraction of this level, he crops up to stop Pit in a few different places in the stage, which the music also fits. He lurks just out of sight…where will he crop up next? This track, known simply as “Dark Pit’s Theme,” is the arrangement I was most familiar with, having played Super Smash Bros. for 3DS and Wii U, and it allowed me to fall in love with this piece of music originally. Instead of just a drum kit, the percussion is much more fully realized, and the rest of the orchestra gets involved, too. It feels like a much more climactic confrontation with the fuller sound, and one that the rest of the music throughout the stage builds up to beautifully in the showdowns with him throughout the stage. Though one might think that arrangements of the same theme could get repetitive in a single stage, or maybe even feel like too much, but all of them in tandem together fit well and build up to that final confrontation with Dark Pit. Now that I have been playing Kid Icarus: Uprising, I find it fairly difficult to pick between which arrangement I like more…so I’ll ask you guys. Which arrangement of Dark Pit’s leitmotif did you prefer? Please sound off in the comments. I am certain that I will revisit Kid Icarus: Uprising‘s score again, so look forward to more of that in the future!